A new bookend not push the books from the side? SOGU series aim at "new perspectives". This product is one of the most conceptual of them. As the name suggests, the first feature is the "angle" . 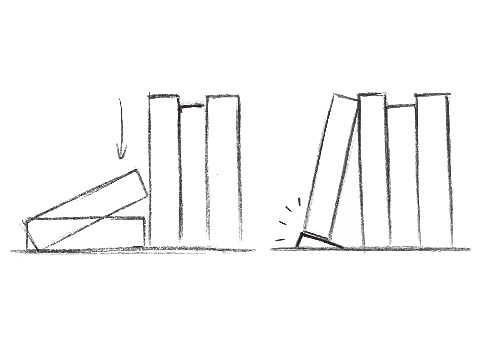 By making an angle on the surface on which the book can stand, it makes it difficult for the books to collapse. When you search bookends,there was only a choice of designs that simple metallic L-shaped design, or that the form itself claim as the interior objects. How about such a new option?